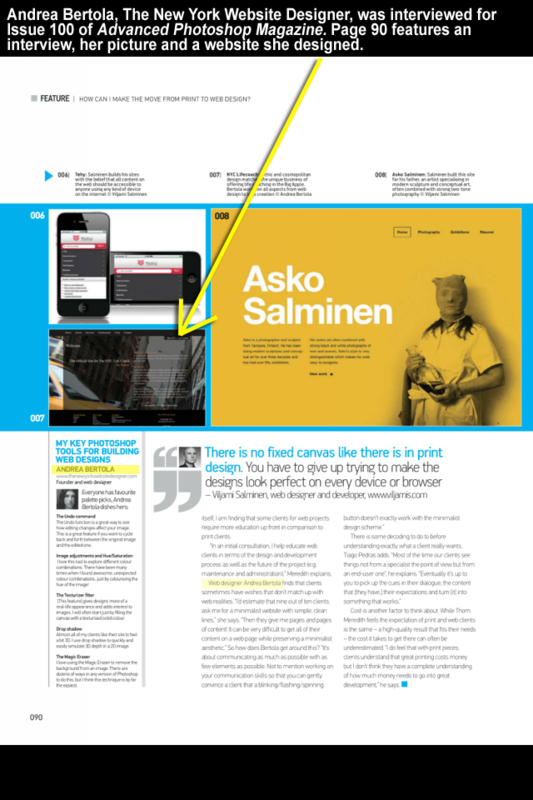 Andrea Bertola Shaw was interviewed by Advanced Photoshop Magazine for their 100th Issue. For this special article they wanted to reach out to some of the biggest names in the creative world and Andrea was honored to be chosen as one of them! They talked to her about her use of Photoshop for her graphic design clients. They even featured some of her logo designs on the cover page of the article!